Today I removed my "Search for: Job" entry at xing.com. After years of study, I finally start working fulltime in the industry, beginning in April 2008. My new employer will be the inubit AG, a Berlin-based BPM software company. The title of my job position will be "Research Engineer" and according to this, I'm joining inubit AG in further advancing the success of their product. I will also be responsible for supporting Master and Diploma theses. If you are looking forward to one in the area of BPM, we should definitely get in contact. A. Single Use. This License allows you to install, use and run one (1) copy of the Apple Software on a single Apple-labeled computer at a time. You agree not to install, use or run the Apple Software on any non-Apple-labeled computer, or to enable others to do so. So, if you want to build a Hackintosh(tm), that is an ordinary PC running MacOS X, you first need to place one of the supplied Apple stickers on the front of your PC. Afterwards, you fulfill (this part of) the license requirements. That's quite similar to the Windows license stickers (but without the installation code). I still wonder if this was planned by Apple or is just a mistake. I introduced two visual extensions to the eEPC notation in the example. First, I'm depicting often executed functions larger, whereas seldom used functions are shown smaller. 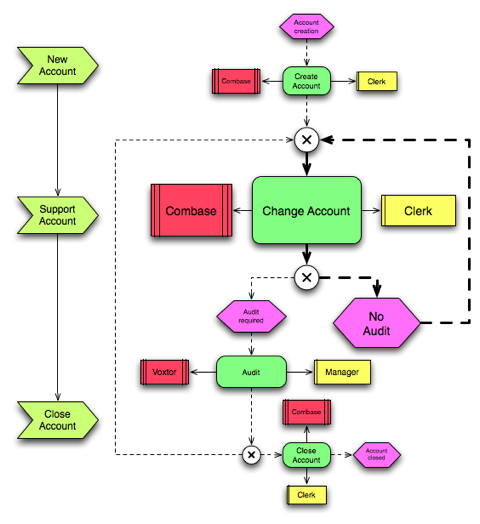 The same holds for events, systems, and roles. Via these simple layout changes, an immediate feedback of the important parts of an eEPC is given. This is quite important, since EPCs usually fill walls. As a second extension, I also depicted the often traversed edges in the diagram in bold. 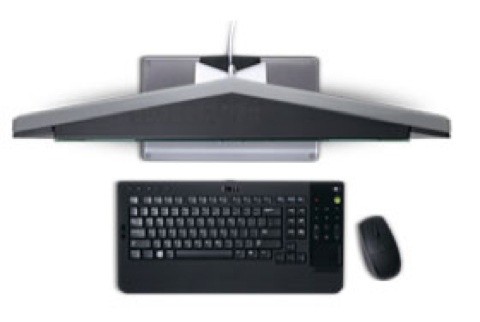 This also adds to an immediate visual feedback for the viewer. In my example, I simply assumed the important parts. If you have log data or annotations available, you could even simply automatically enhance your diagram. 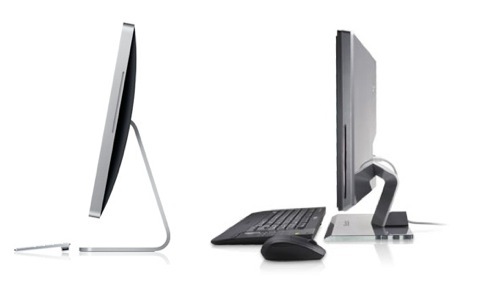 Dell just announced its iMac clone, the iDell(tm) XPS One. At least one point towards this machine: it only requires one cord to operate. Everything else is obvious from the picture below. The official announcement can be found here. "Process Integration of Mobile Farm Machines Using Automatically Generated BPEL Processes. Increasing IT requirements in agriculture and farming lead to situations where mobile farm machines need to be integrated in the business processes of a farm. Since these processes and the communication partners change with the farm the farm machine works for an adapted process description must be created and used. Due to the strong variability and heterogenity of the partners Web Services and especially BPEL constitute an adequate infrastructure for the generation of such adapted business processes. Starting point for this approach is a BPEL model which serves a a template for automatic creation of an adapted concrete BPEL process." The complete text is in German, but it is nevertheless worth reading it. One last citation: What do you think is a farmer doing after he gets out of his bed? Answer: The farmer first configures his IT environment using a software solution. Well done!